In today’s episode, you’ll get to hear a unique approach to interviewing – the double interview! You’ll hear from Pam Victor, professional improviser and founder of Happier Valley Comedy School in western Massachusetts, as she interviews me for her podcast, Conversations with Funny Feminists, and I interview her for this podcast. It’s a 2-for-1 special and you’re invited. We talk all things public speaking, how improv can help you manage your fear, one easy strategy to go from stressed out to laid-back, how to bring your unique voice to your presentations, and so much more. 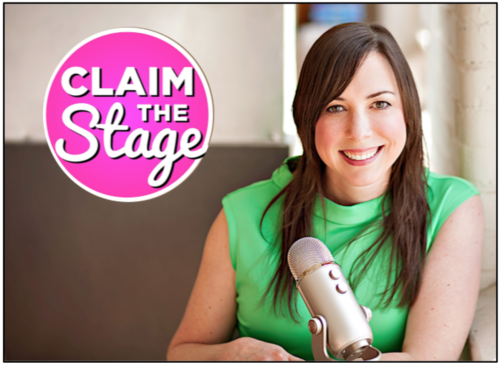 If you want to laugh alongside two women who are helping others find their voice through their work on stage, you will love this episode! Find out more about Pam Victor at www.happiervalley.com and be sure to check out her podcast for more conversations with funny feminists.